We are a leading Manufacturer of modular cold room, commercial cold storage room, fish cold room, apple cold storage room, cold room and cold storage room from Chennai, India. 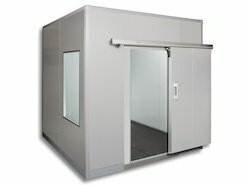 We are offering Modular Cold Room to our clients. We are one of the trusted manufacturers of cold rooms, walk- in coolers & Freezers that are specially designed for chilling or freezing applications. The CFC-free refrigeration systems facilitate efficient cooling, freezing of the chamber integrated with user-friendly structure and design. Available in various capacities, these freezers are provided with pre-fabricated panels for easy assembly, cam lock in tongue and groove assembly. 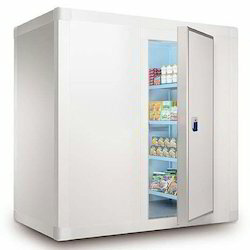 These freezers find wide application in food processing, fisheries, hotels, research & development and pharmaceutical. We are offering Commercial Cold Storage Room to our clients.We are one of the trusted manufacturers of cold rooms, walk- in coolers & Freezers that are specially designed for chilling or freezing applications. We are offering Fish Cold Room to our clients. We are one of the trusted manufacturers of cold rooms, walk- in coolers & Freezers that are specially designed for chilling or freezing applications. 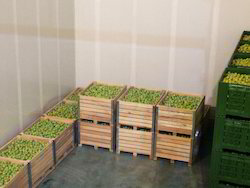 We are offering Apple Cold Storage Room to our customer. We are one of the trusted manufacturers of cold rooms, walk- in coolers & Freezers that are specially designed for chilling or freezing applications. 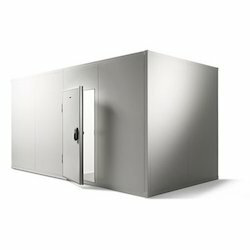 We are offering Cold room to our customer.We are one of the trusted manufacturers of cold rooms, walk- in coolers & Freezers that are specially designed for chilling or freezing applications. We are offering Cold Storage Room to our customer.We are one of the trusted manufacturers of cold rooms, walk- in coolers & Freezers that are specially designed for chilling or freezing applications. We are offering Cold Storage Rooms to our clients.We are one of the trusted manufacturers of cold rooms, walk- in coolers & Freezers that are specially designed for chilling or freezing applications. 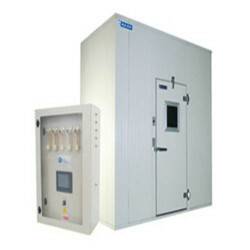 We are offering Commercial Cold Room to our clients. We are one of the trusted manufacturers of cold rooms, walk- in coolers & Freezers that are specially designed for chilling or freezing applications. The CFC-free refrigeration systems facilitate efficient cooling, freezing of the chamber integrated with user-friendly structure and design. Available in various capacities, these freezers are provided with pre-fabricated panels for easy assembly, cam lock in tongue and groove assembly. 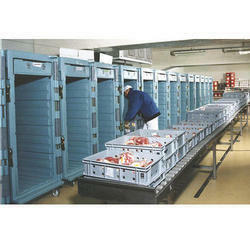 These freezers find wide application in food processing, fisheries, hotels, research & development and pharmaceutical. 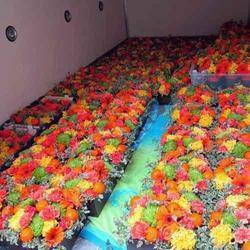 We are offering Flower Cold Room to our client. We are offering Frozen Food Storage Room to our customer.We are one of the trusted manufacturers of cold rooms, walk- in coolers & Freezers that are specially designed for chilling or freezing applications. 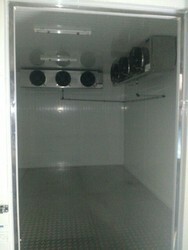 We are offering Ice Cream Storage Room to our customer. We are one of the trusted manufacturers of cold rooms, walk- in coolers & Freezers that are specially designed for chilling or freezing applications. 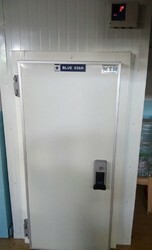 We are offering Medicine Storage Room to our customer.We are one of the trusted manufacturers of cold rooms, walk- in coolers & Freezers that are specially designed for chilling or freezing applications. 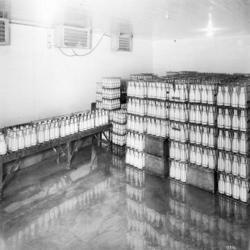 We are offering Milk Cold Storage Room to our clients. 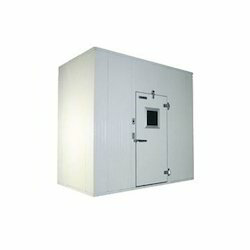 We are offering Mini Storage Cold Room to our customer. 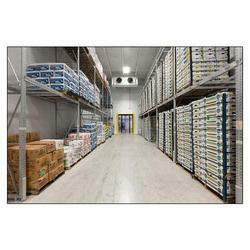 We are offering Potato Cold Storage Room to our clients. 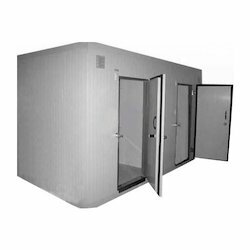 We are offering Prefabricated Cold Rooms to our clients.We are one of the trusted manufacturers of cold rooms, walk- in coolers & Freezers that are specially designed for chilling or freezing applications. We are offering Vegetable Cold Room to our clients.We are one of the trusted manufacturers of cold rooms, walk- in coolers & Freezers that are specially designed for chilling or freezing applications. The CFC-free refrigeration systems facilitate efficient cooling, freezing of the chamber integrated with user-friendly structure and design. Available in various capacities, these freezers are provided with pre-fabricated panels for easy assembly, cam lock in tongue and groove assembly. 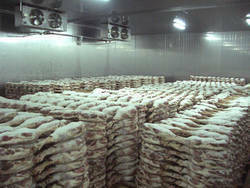 These freezers find wide application in food processing, fisheries, hotels, research & development and pharmaceutical. Blue Star is India's leading airconditioning and refrigeration solutions company. With over 7 decades of experience in the field, Blue Star is the one expert you can trust when it comes to cooling solutions. This is especially true when it comes to cold-chain solutions including ripening chambers. Blue Star Is a leading provider of banana ripening solutions in India today. Thousands of banana traders and farmers are Blue Star customers and over 14,000 MT of bananas get ripened in our Banana Ripening Cold Rooms everyday. This domain knowledge in the field ensures that each Blue Star Ripening Cold Room is designed bottom up, to maintain the precise conditions required by each specific application. Factors such as humidity, temperature, ventilation and specific gas emission levels within each ripening chamber are tuned to optimum levels, in each cbarnber design, based on requirements at each (.IR, 1311. Star ripening chambers are reliable, robust and built to last. They are also backed by proven service capability through a nationwide network, even in remote inaccessible areas. 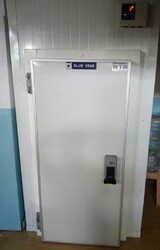 Blue Star ripening chambers are reliable, robust and build to last. they are also backed by proven service capability through a nationwide network, even in remote inaccessible areas. Humidifiers to maintain high humidity throughout ripening cycle. Safe: 5% Ethylene-95% Nitrogen mix generated. Flexible system Single system can feed multiple ripening chambers. Independent settings: Allows ripening of different fruits at the same time in each chamber. Intelligent microprocessor contrdler: Ensures precise ethylene generation. Programmable: Desired conditions programmable as pre-sets through touch screen. 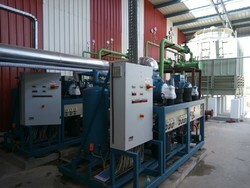 Controller also programmable to generate ethylene at fixed intervals. The stand-alone ethylene generator is ideal for ripening situations where the process is sequential rather than slmultaneous. They provide a censtant and controlled supply of ethylene into the ripening chamber, by converting a specially Formulated ripening concentrate into ethylene. 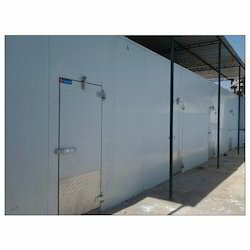 We are offering Sea Food Cold Storage Room to our clients. We are offering Fish Cold Storage System to our clients. 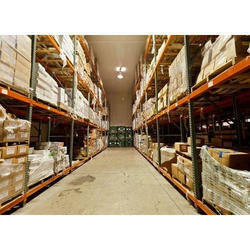 We are offering Seeds Cold Storage Room to our clients. 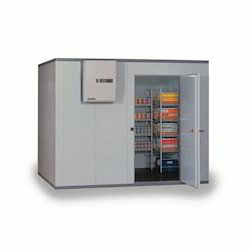 We are offering Vegetable Cold Rooms to our clients.